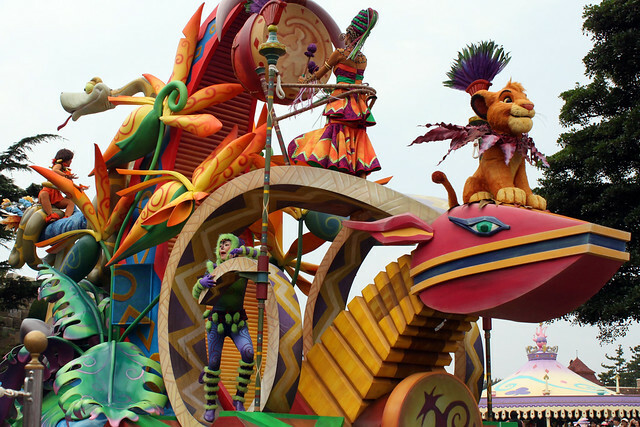 To begin, let's take a look at the parade. (C) Disney. 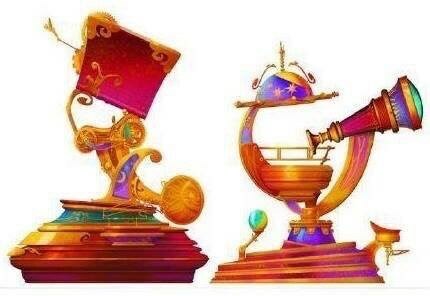 Top two images appeared on DLP Musical Director Vasile Sirli's Facebook page. 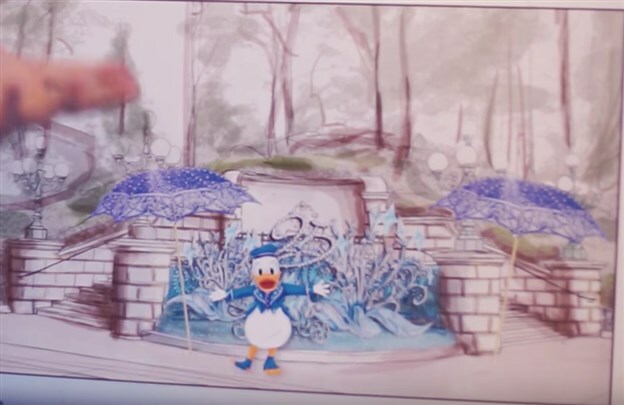 Last image taken from an official DLP video, here. Discover Friendship - featuring the Toy Story characters. 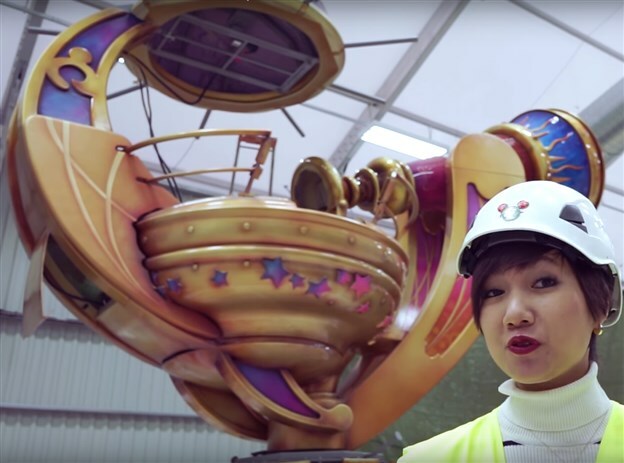 In one of the images of the telescope, above, you can see the Toy Story float in the background. 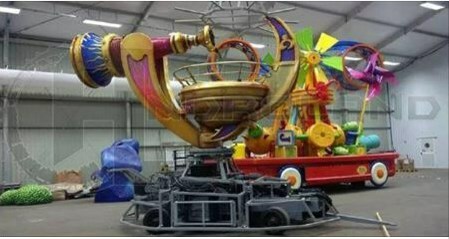 There will be a Buzz Lightyear rocket that pulls a wagon along behind it filled with the other toys. 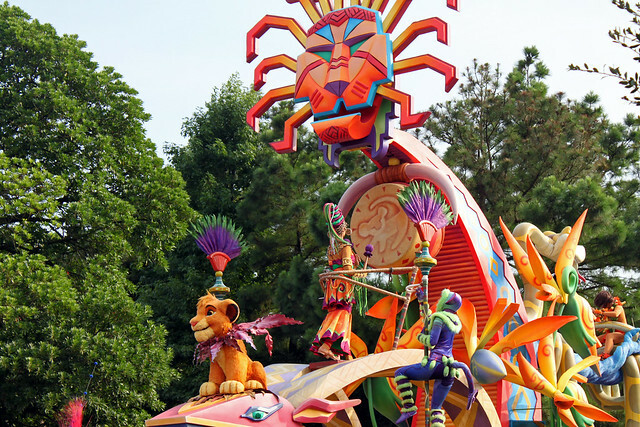 Discover Adventure - featuring characters from The Lion King and The Jungle Book - including Mowgli! 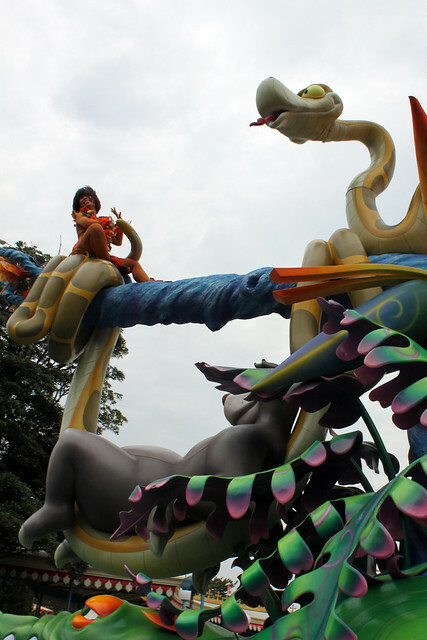 - this float has been transplanted from Tokyo Disneyland's former Jubilation! 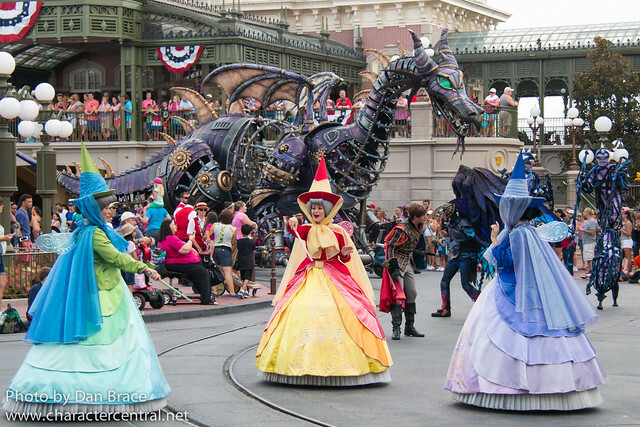 parade (images below from when we saw it there). 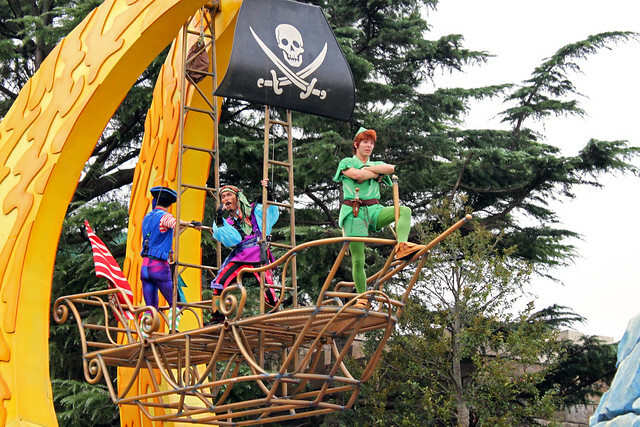 Discover Imagination - featuring Peter Pan and Captain Hook, again, this float comes from Tokyo's Jubilation! parade, as per my photos below. 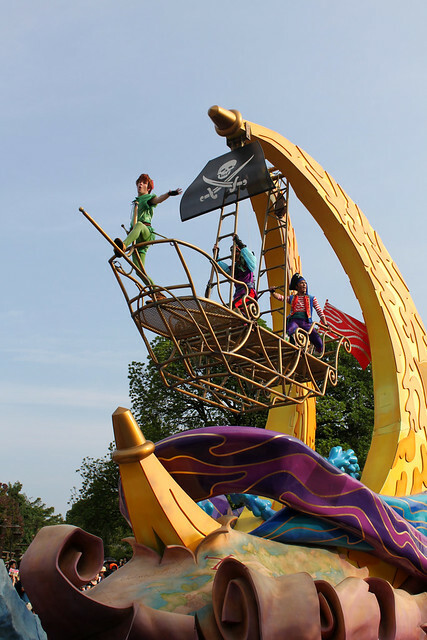 It is unknown if Mr Smee will return on this version of the float. 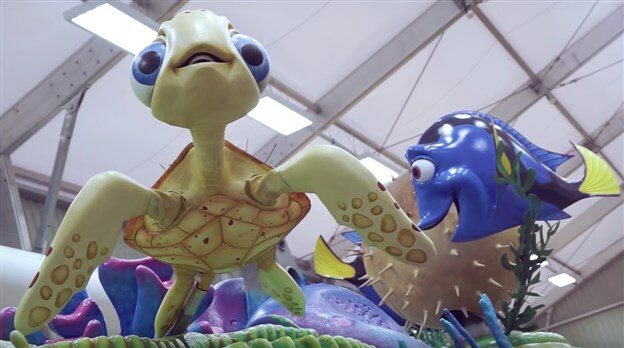 Discover A New World - featuring characters from Finding Nemo and Finding Dory. 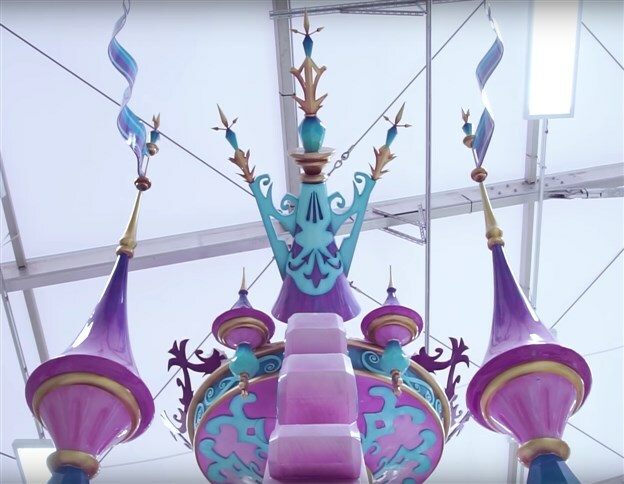 Below you can see some images that have been screen-capped from an official DLP video. (C) Disney. 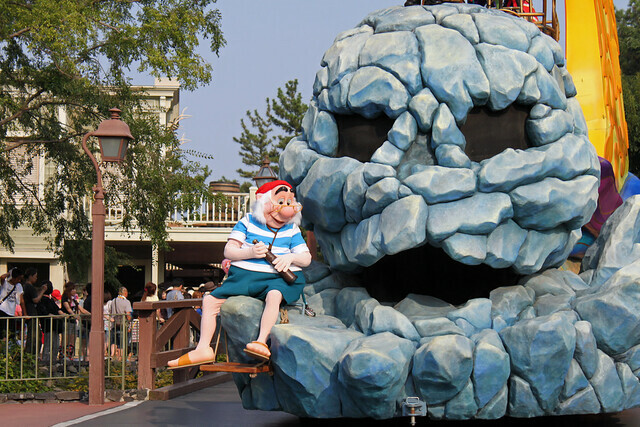 Images taken from an official DLP video, here. 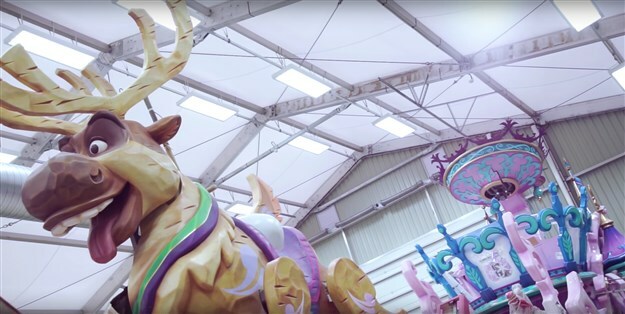 Discover Enchantment - featuring Prince Phillip, the Three Good Fairies and the Maleficent dragon, which will be similar to the one currently in Festival of Fantasy in the Magic Kingdom. 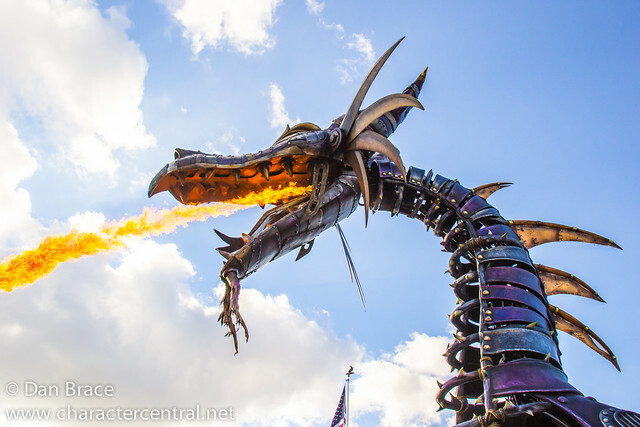 You can see the Florida dragon in my photos, below. 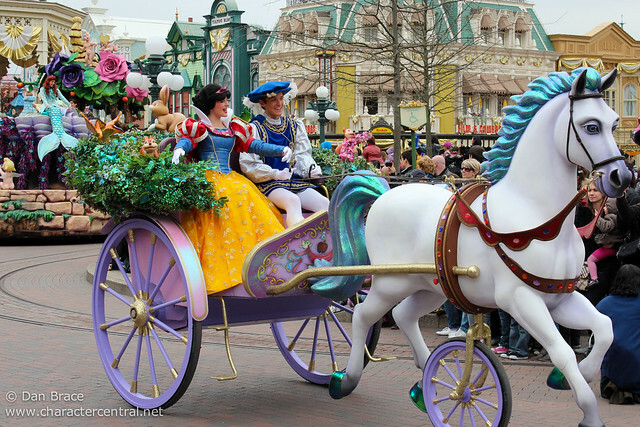 Discover Romance - this will feature princesses Rapunzel, Cinderella and Snow White and their princes, on adapted versions of the same carriages from the current Disney Magic on Parade (photos of the current versions shown below). 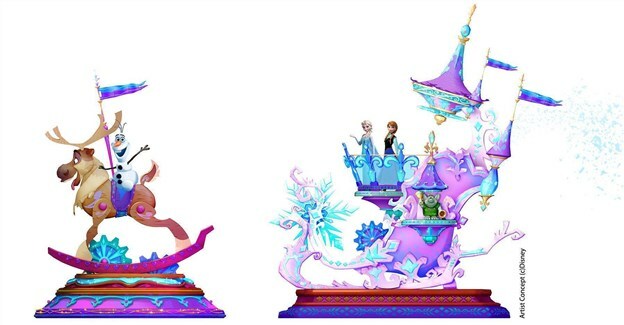 Discover Wonder - finally, Anna and Elsa will feature on an ice castle float, as seen in this concept art, below. 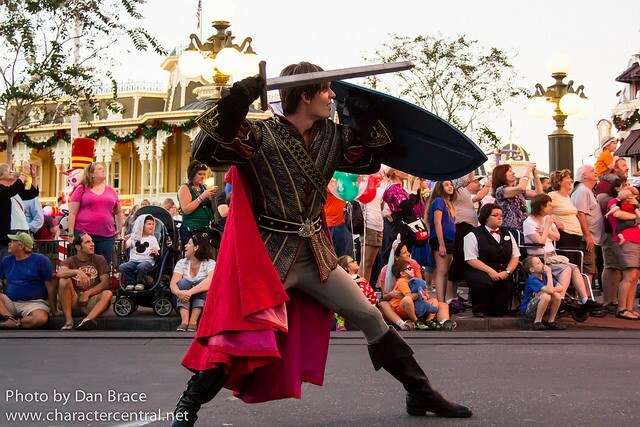 It would appear that Olaf is sitting on Sven in front of the castle, but it is unconfirmed as to whether he will be an actual character, although we anticipate he will be a character. (C) Disney. 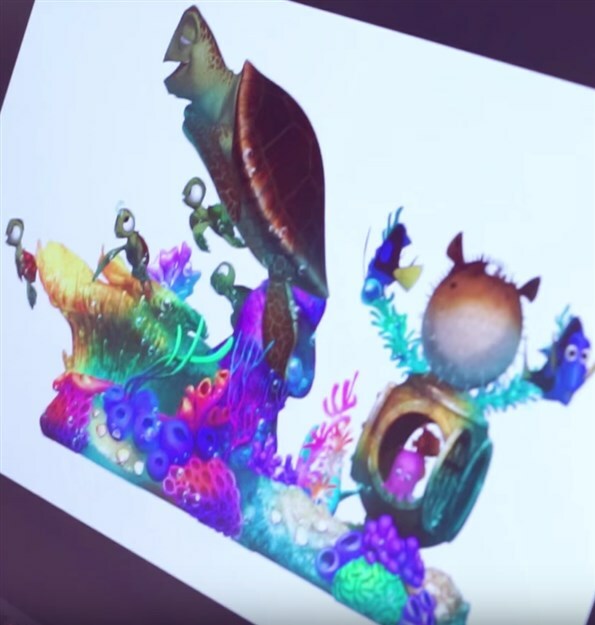 Concept art first appeared on DLP Musical Director Vasile Sirli's Facebook page. 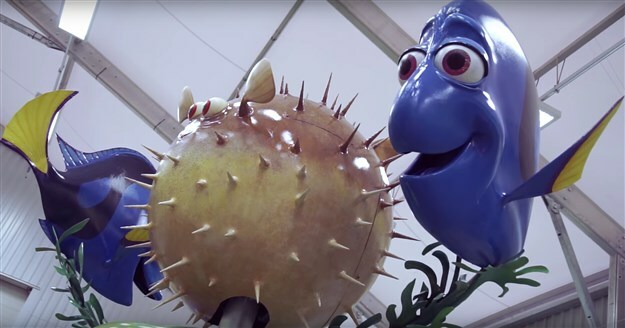 Other images taken from an official DLP video, here. 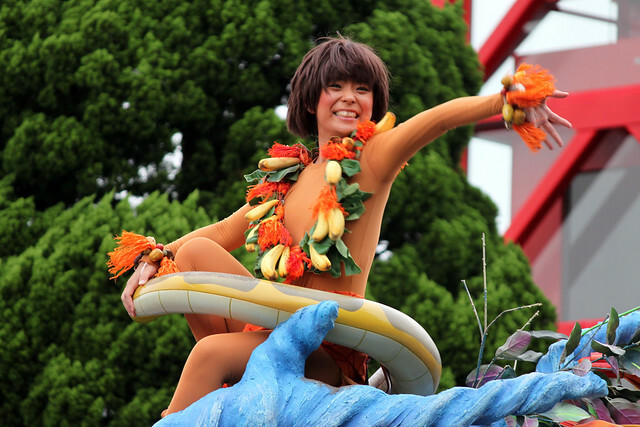 In addition to the parade it is anticipated that the characters will greet in special 25th anniversary outfits, some of which have been officially released already, via press release and video interview (here, and here, respectively). I have shared the ones I can, below. 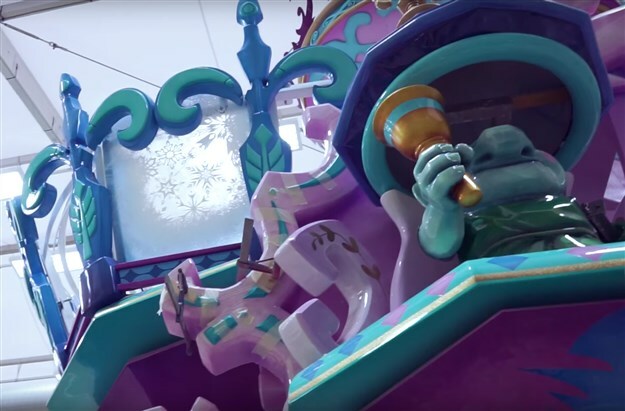 How the 25th anniversary greetings will affect the seasonal greetings, such as for Halloween and Christmas, it is not yet known. 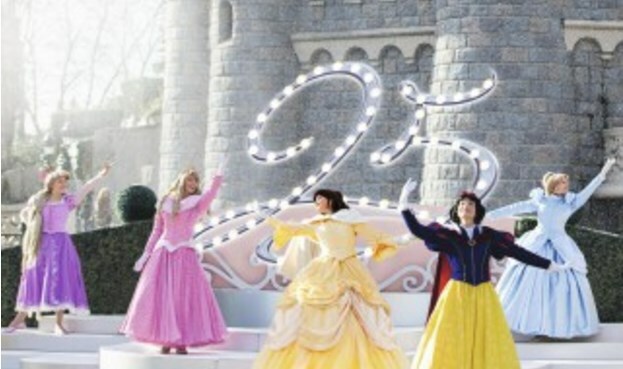 There will be two new shows for the 25th anniversary. 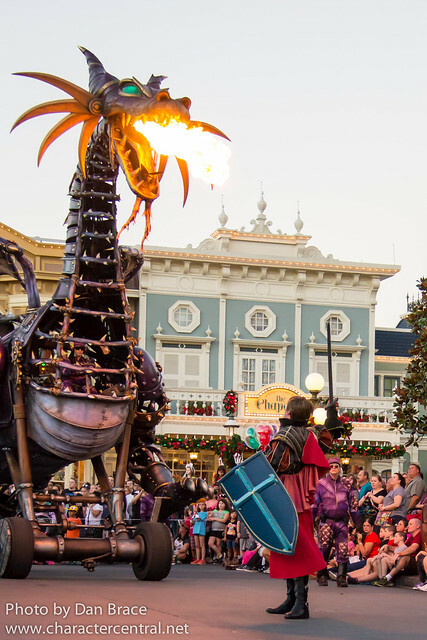 These will both - rather interestingly - take place on the Royal Castle Stage, where in recent years we have seen a return of some good, solid, seasonal entertainment. 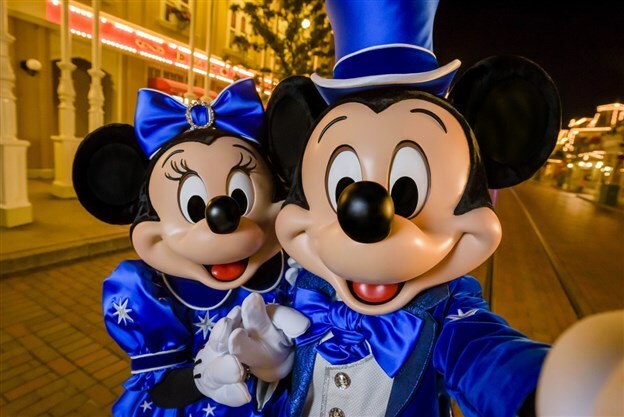 As with the greetings, it is not known yet what the fate of the 25th anniversary or the seasonal shows (spring, Halloween, Christmas) will be, although it is strongly anticipated that Swing into Spring will not happen this year. 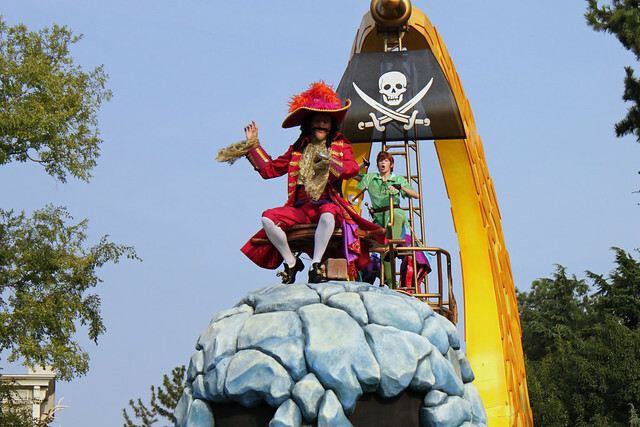 Christmas and Halloween are almost certainly going to go ahead more-or-less as normal, but with the stage being adapted for use with the new 25th shows, the fate of the Halloween villains show and the Princess Christmas one is unknown. 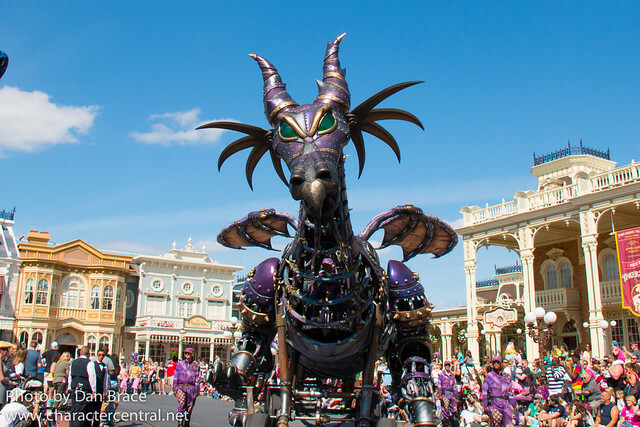 The two new shows for the 25th anniversary will be as follows, as per the official Disneyland Paris press release. 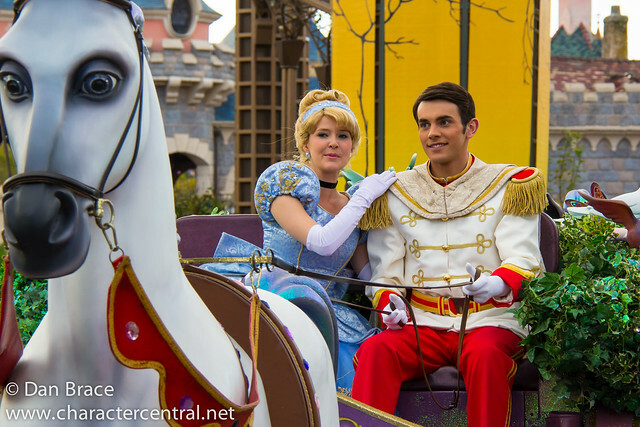 "It is rare that I get the opportunity to direct so many Disney Characters in one show” reveals Emmanuel Lenormand, the Show Director. 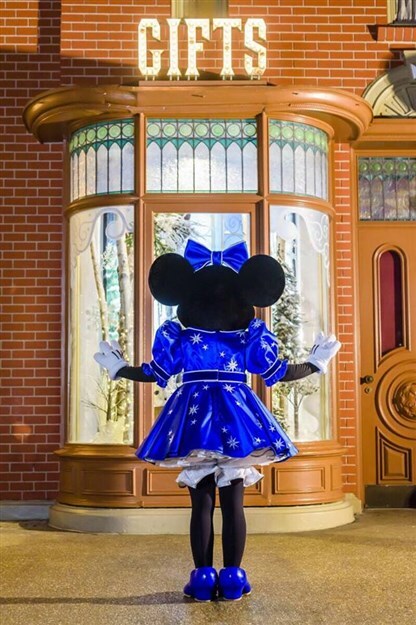 “It is essential to create a big picture, like in a musical, while respecting the personality of each Character: no one can make a grand entrance quite like Mickey!". 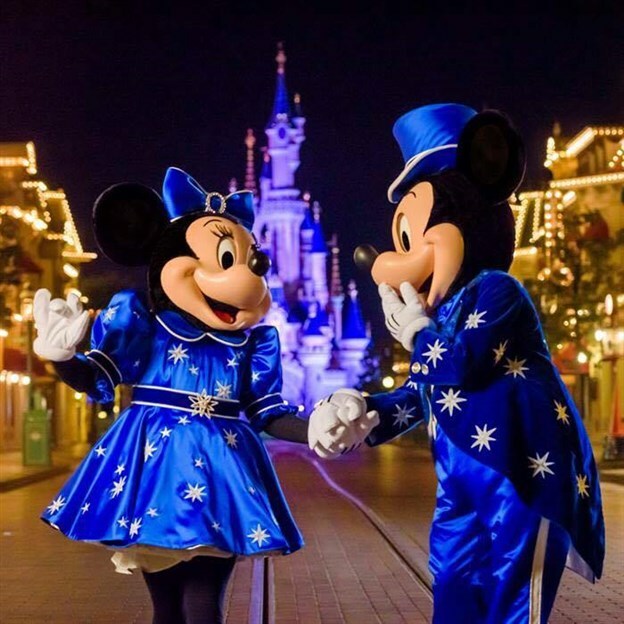 Mickey presents "Happy Anniversary Disneyland Paris" will take place several times a day. "One of the songs in the show is called “Every Girl can be A Princess” and, as well as the eight princesses featured on stage, we also wanted all the little girls in the audience to feel like princesses throughout this 25th Anniversary year", smiles Amanda Cahen, the Show Director. 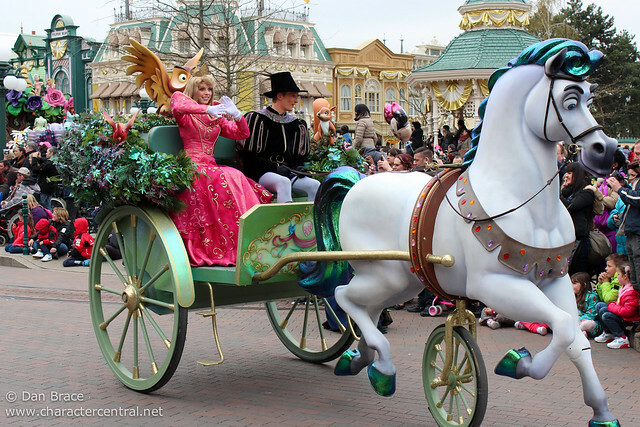 The Starlit Princess Waltz will take place several times a day. 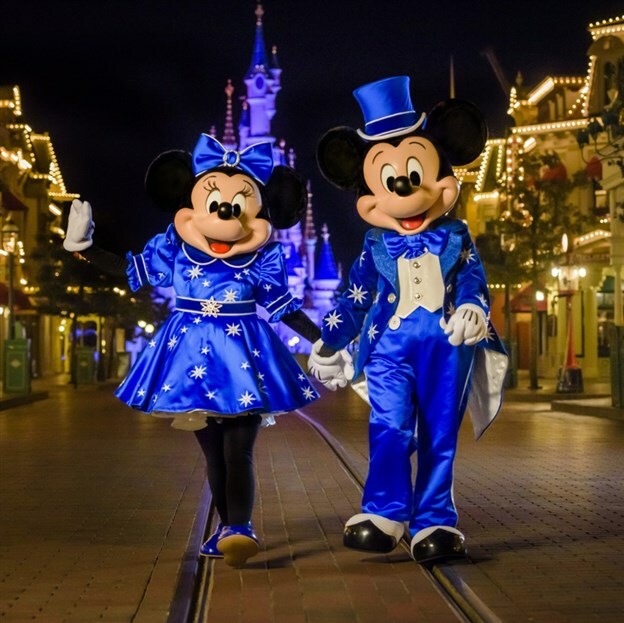 As I mentioned at the start of this article, other attractions that are eagerly anticipated for the 25th anniversary include Hyperspace Mountain, Star Tours - The Adventures Continue, and Disney Illuminations. The 25th anniversary kicks off on the 26th March - will you be there this year to celebrate! Let us know your thoughs by hitting the "Discuss" bar at the bottom, and commenting on the forum!